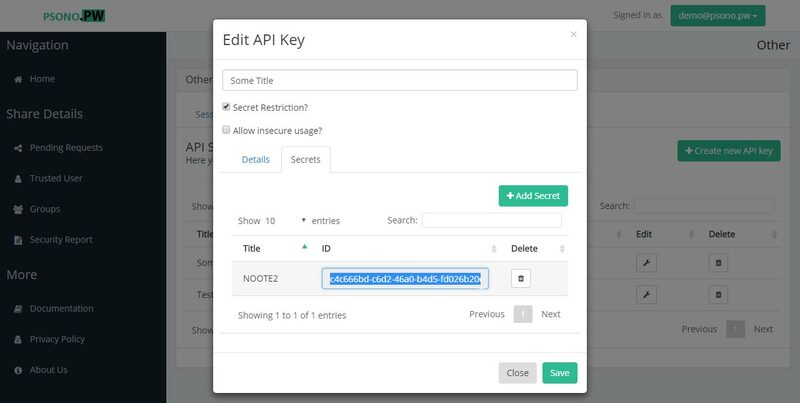 Instructions how to create the API key. 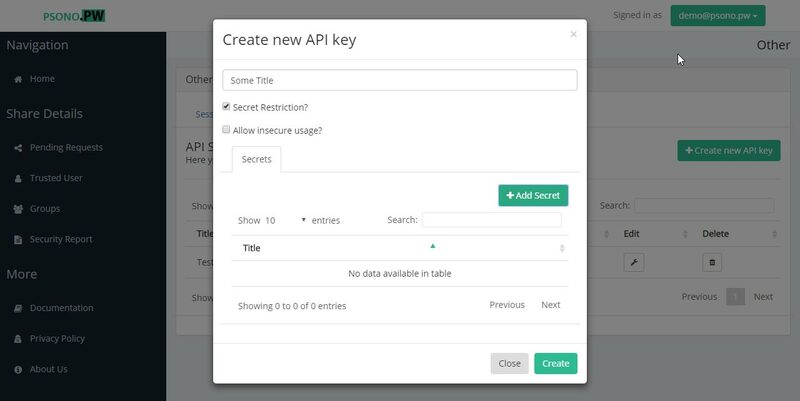 In order to create an API key you need to have an account and be logged in with any browser client. After clicking save click on the wrench symbol to edit the entry and display the actual secret key properties.